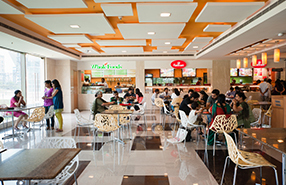 Fortis Memorial Research Institute has a multi-cuisine food court that caters to multi-ethnic tastes. You will be spoiled for choice. Mouth-watering aromas waft from multi-coloured counters. Here you would get to taste a wide variety of delectable delicacies cooked by expert chefs. 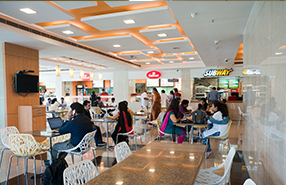 The court is designed keeping in mind today’s lifestyle of people and provides a range of food items in a comfortable and hygienic environment. 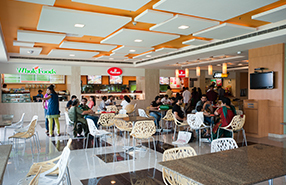 You can comfortably place yourself along with others in this vast eating area and enjoy mouth-watering food while getting world-class healthcare services.